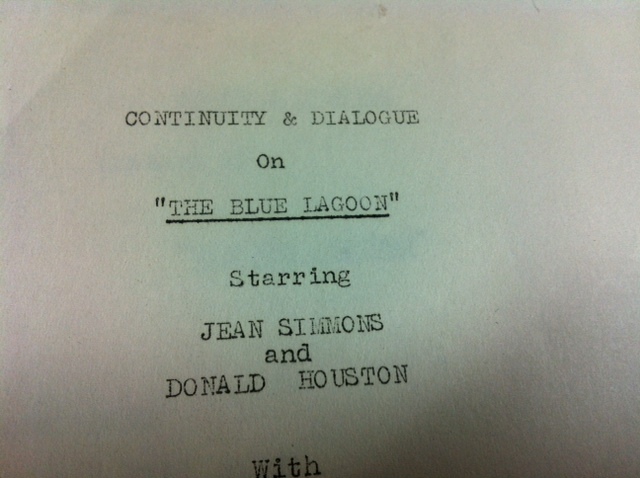 I have recently acquired this item – an original typed film script from the famous film The Blue Lagoon. 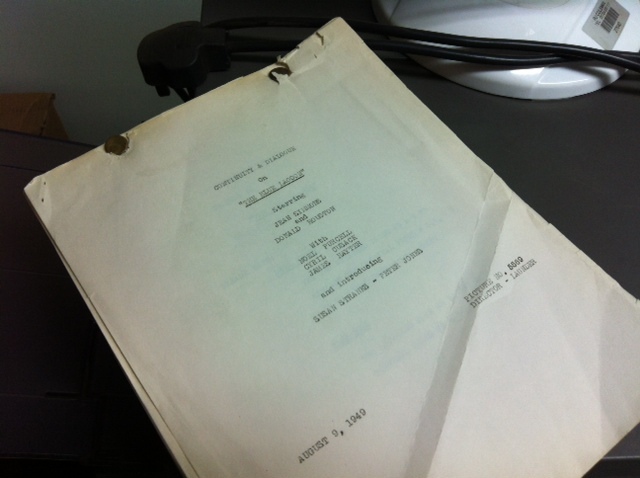 It is a fascinating find because it reminds us of an era now gone – and it also shows the great detail necessary in film making. Quite a lot of the filming went on in Fiji which in those days would be even more remote and inaccessible than it is today – but for young actor like Jean Simmons and Donald Houston it must have been a very exciting period in their lives. How on earth would they get there in those days. Even in the mid fifties to get to New Zealand would mean around nine hops by air – and whether Fiji meant another plane journey or by sea I don’t know. 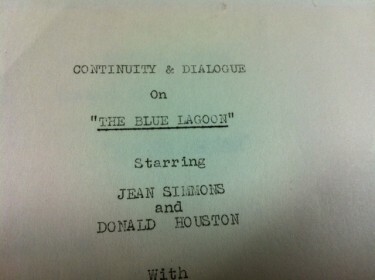 I do know however that Jean Simmons went to Sydney on her way out to film The Blue Lagoon and received a very warm reception there. She also describes how she travelled back in luxury. 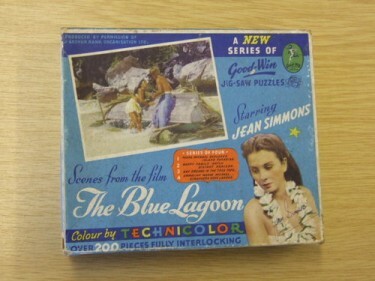 Jean Simmons said :- “I’ve got some lovely memories. I remember coming back from the Fiji Islands on the Queen Mary after we’d made The Blue Lagoon. I travelled with Eleanor Roosevelt and she gave me a bunch of violets. I was so thrilled. I was just 18. I’ve had a lovely life. Not bad for a kid from Cricklewood.” I must query Jean’s recollection here though, because there is a newsreel film of her celebrating her 19th Birthday on Fiji before she left for home. Still that hardly seems to matter !! Below is a jig-saw puzzle from the film – my Mother and Dad bought me one like this way back probably in the early fifties and I treasured it and remember it to this day. 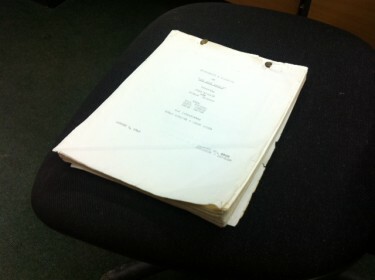 However years later I was able to get hold of the full set of FOUR of these which made me very happy.